Father’s Day is quickly approaching; June 18 will be here before you know it! Our dads are our first hero; they are the strongest men alive and the best spider killers on the planet (well, mine is at least). Many have also taken on the role of “Mr. Mom.” If you just look at the cost of childcare, you’ll understand why some parents are opting to stay at home rather than pay for daycare. Though dads taking the stay-at-home caregiver role are slowly becoming a more common occurrence, it is still met with some social resistance. One of the stigmas attached to this resistance is the thought that fathers need to be the breadwinners and providers of the family. Men who wish to stay home and care for their families should not be stigmatized for doing so (they are still caring for and supporting their families); they can still help support their families while working from home if they choose to. 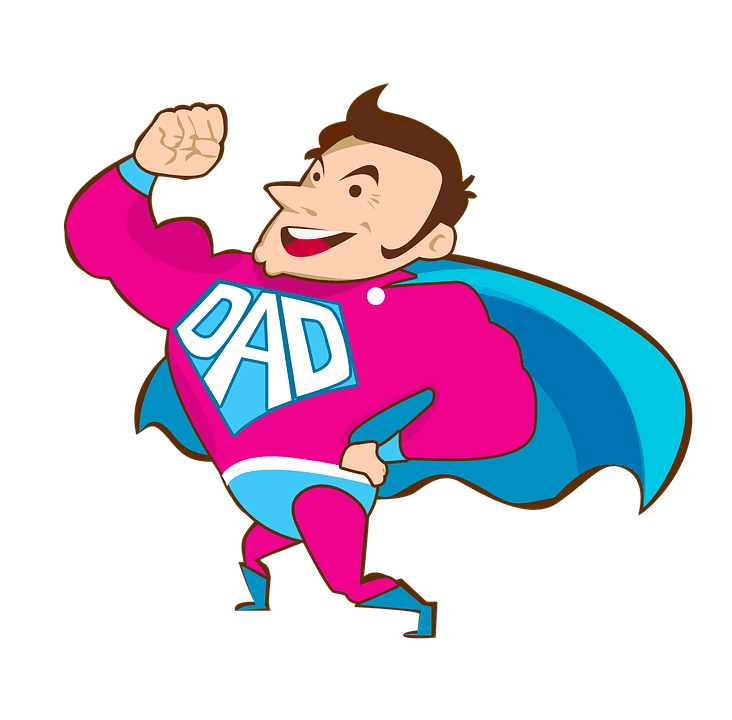 Here are some great options for our superhero dads who want to work from home. As I type this, I am wrapped up in a blanket with Netflix playing in the background. If you have a flair for writing, there are many careers out there for you. Whether it be writing/maintaining blogs, producing content for other companies, or creative material you’ll publish yourself; writing offers many opportunities for you.The best part is you can do it anytime anywhere! Have a background in medicine? You may be qualified to work as a remote medical biller or transcriptionist. Though you may need to find some quiet time to concentrate, especially when trying to listen to a dictation from a doctor who mumbles, most jobs in this sector will give you flexibility. Certified to teach? With the increase of online schooling for both the general and college levels, the need for teachers for remote learning is rising. It’s not just parents trying to figure out child care who are looking for flexibility. Students are looking for the ability to learn in ways that are more conducive to their learning style and/or schedule. In my relationship, I’m the writer and marketing mind and my fiancé is the “Tech Guy.” He makes all my ideas come to life and look pretty. We’ve worked on website and design projects together, from the comfort of our couch. If you have a penchant for writing code or troubleshooting computer issues remotely or have a background in marketing or graphic/web design, there are many companies (Apple included) that have work from home options for people with technical and people skills. Or, you could always go into business for yourself and create your own schedule and rules! Many companies are starting to offer more and more work from home options for employees. Check with your employer and see if you can work something out. If that’s not an option check out this list of great employers who do offer a telecommuting option. Our dads are awesome whether they are stay-at-home dads or if they work away from home. Let’s remember to thank our fathers for all the work that they do and all the love they show! This entry was posted in small business and tagged caregiver, childcare, Fathers Day, flexibility, June 18, Mr. Mom, Stay at home dad, telecommute, work from home by Alyssa Smith. Bookmark the permalink.